Many members would like to take part on other forms of motor sport but don’t know where to start or what is involved so we created the Annual IOWCC have a go at motor sport event. This year we asked club members what type of event they would like to take part in and most wanted to have a go at a hill climb. The isle of wight Car Club have managed to get our club invited to Gurston Down for their final event of the year on the 11th of September. For those that attended our information night you will have an insight into what is required to take part in this event. 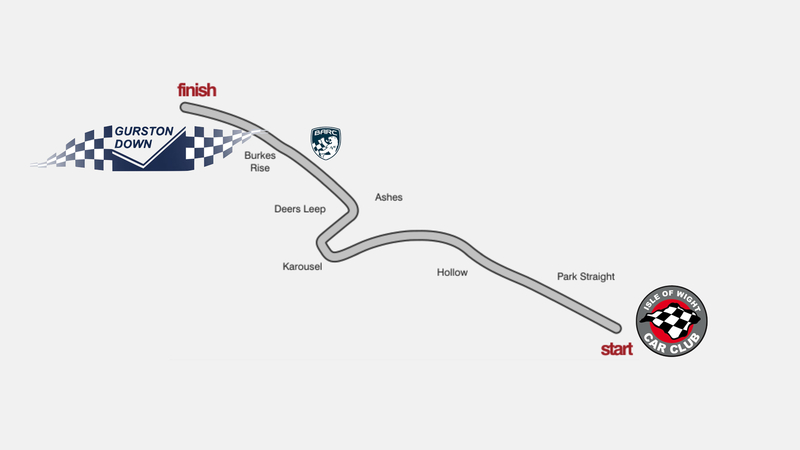 but in short you will need an MSA Non-Race National B Competition License, approved helmet, overalls and gloves (although you could share these with another competitor if you are running in different classes) and depending on what car you use your car may need a few safety features. if you already know you are good to go you can now enter at http://www.gurstondownentries.co.uk/ – It will ask if you are a member of BARC. Just say yes so it will let you enter. if you are not sure what is involved please contact the club via the club email or leave a message in the Facebook event page and we will do our best to help. 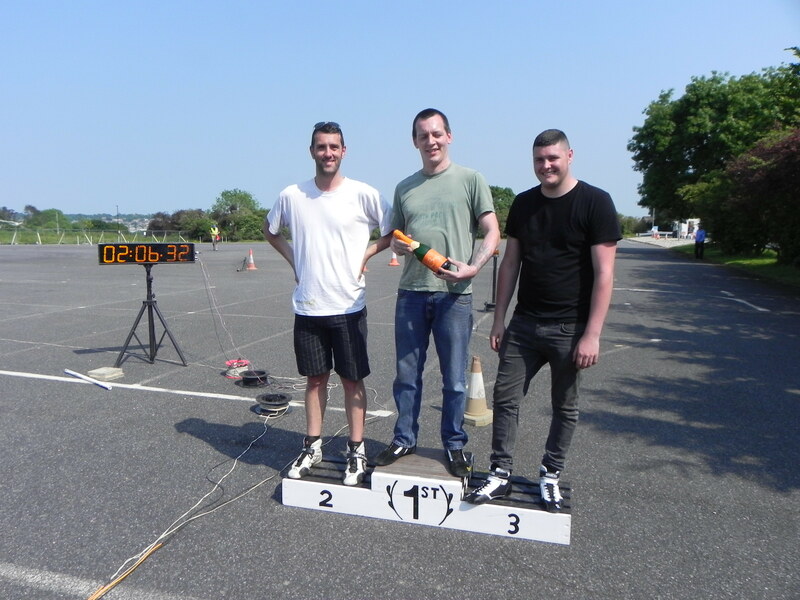 With amazing clear blue skies and a temperature in access of 24‘C most people were heading to the beach, however, 34 drivers returned to BAE systems in Northwood for round 5 and the 3rd sealed surface event of the season. The high temperatures were playing havoc with many cars and possibly effecting many of the drivers with an incredible 79 wrong tests being performed on the day. However, those that chose tarmac and rubber over sea and sand were rewarded with a great day of grass roots motorsport. Initially Ryan Munt topped the leader board followed by David Goodwin in his classic mini, however, Ryan’s car had a resurgence of its carburettor issue that saw his car catch fire and confined to the pits for the rest of the day. Once competitors got to grips with the course, the class 5 cars took the lead and by the day’s close all top 6 places were either Locosts or single seater specials. Previous championship winner Dan Morgan was looking to take the win in his Sub Zero but was pipped by 2015 ‘Up and Coming’ award winner Ricky Sheppard as he shaved 3 tenths of a second of Dan’s time. 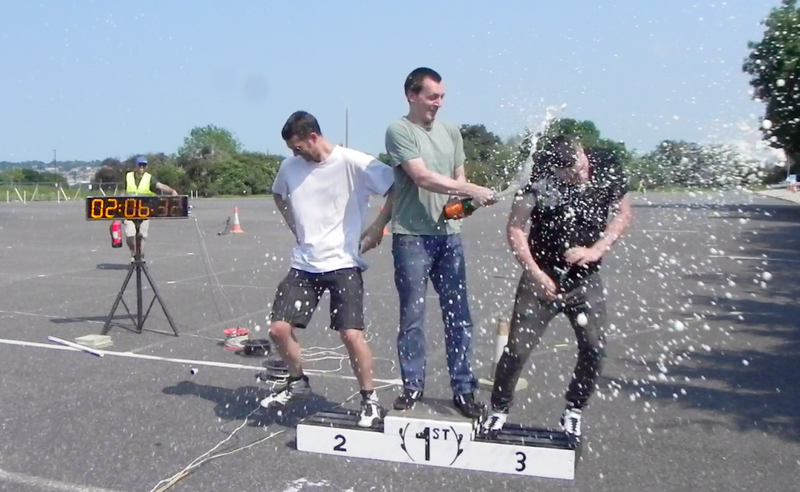 Ricky has been showing good form and his first ever event win was met by plenty of cheer and congratulations from his fellow peers as he sprayed the champagne from the top step of the podium. Car auto-testing is a very accessible form of Motorsport and open to anyone with a driving licence and a car. For more information on how to take part please visit our website www.iowcc.co.uk.